Matt, this is exactly what happened to my wetsuit same as yours. After less than 5 months I had 3 rips under my armpits forst left then right. I am 188 and 74Kg, L was too loose around my belly and legs, M is very tight, but once in the water is quite OK. I now have an Aqulung Sport Freedive wetsuit. I couldn't try the M as they'd run out of stock so I tried the ML and L sizes. As previously stated in this thread, I'm very similar proportions to @MarcinB (188cm, 83kg) but I was happy with the fit of the ML. I can't see me getting into an M too comfortably. The L didn't give me much more room in the shoulders but was baggyer around the hips/waist. I've not had a chance to try it in the pool yet (it's a Christmas present so won't see any action until the New Year ) but it feels really nice and looks well made. I've finally gotten around to trying out my Aqualung Sport 1.5 (ML) wetsuit and I have to say I'm rather pleased with it. Yes, worn it once, so a limited experience I know. That said, it feels good on, good elasticity so I don't feel restricted in it. If I feel any tension then it's largely around the shoulders when I assume the position. Having worn it for an hour it did let in a little water, but not as much as my cheap 'n' cheerful training suit. I guess if I'd gone for the medium it might have be sufficiently tight that it would let in even less. Nice glide, but then you'd expect that what with it being so smooth and all. May be a little more buoyant than I'd have expected but, that said, when I was at one metre I would say I had little trouble staying down. I currently use 3kg around the neck. If I was to add anymore I'd add it at the waste. I'm looking forward to competing in the suit this year. Compared to a typical 1mm skin, Aqualung Freedive suit requires 0.2-0.3kg of additional weight. My suit after just two months of regular training already has 2 small tears in one armpit. However, it is very tight. The next one will be definitely ML. Thanks for your feedback Phil! Anyone tried Cressi Triton 1.5 mm? (see link). It has ultraskin neoprene so glide should be ok? 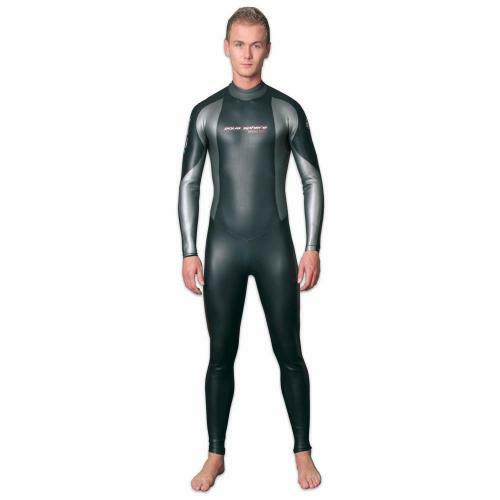 Trying to find aqualung freedive 1.5 mm but cant find one in my size.. looking around for good alternatives. Located in Belgium. has anyone tried orca's openwater wetsuit ? it's combination 1,5-2,5mm seems like a good choice for the pool ? seems this is the only orca left that's not tri suit ? what happened with the breathe and free wetsuit that Trubridge promoted few years back ? Another option is the Orca Equip Lite. Not tried it myself but seems a better option than the Openwater as it's 1mm all over. I did see a Tweet from William Trubridge, earlier this year, saying he was testing an new Orca prototype so may be they're considering a re-entry into our market. Hi Philip, tnx for the tip. Concerning Orca in general, rather ridiculous that currently they don't have any kind of official wetsuit for freediving let alone specific for pool training. More and more, I'm leaning towards Elios. Do they even make one piece wetsuits ? If not, is the bottom part long john or like regular pants ? In the world of pool skin suits for Freedivers it's true to say that, "the only good wetsuit is a discontinued wetsuit". I'm certainly not well travelled so with limited experience I can say I've not seen a two-piece suit used in DYN/DNF. Not to say you couldn't but, for example, an open cell Elios smooth skin at the right thickness would be very delicate. Have you looked at the Salvimar Zeero? Again, an expensive option and sizing guidance is difficult for them. The manufacture ignored my e-mails so I spent my pocket money elsewhere. - A more expensive triathlon suit than the ORCA TRN, from ORCA or other brands. In the same price range as the Elios alternative, about 350 euro/usd. @mattbigblue you say the the Aqualung fits you perfectly with 85kg 110cm chest, 187cm tall. I'm 186, 91cm chest and 72 kg. Assume the M would be way to loose for me?! @all Maybe the Aquasphere Winter Aquaskin is the better suit for me...it's supposed to be more tightly cut? Anyone any experience? Size M will be perfect for you. I'm 188cm, 99cm, and 83kg. ML is perfect for me, M is a bit too tight. I also think it will be good for You. Can't say exactly but I'm below 80 kg now and it still fits me well. Thanks for your help. I ordered the Aquasphere suit as I have a local retailer where I have the chance to return it. I heard that swiminn.com is not a great partner if you need to send your order back to them. I will report how it fits. Hi again. Just noted that my trusted Orca TRN had worn right through the neoprene on the shoulder, probably hit the pool bottom. Used it weekly for almost two years now, plus 20+ sea sessions. So time for a new suit. I compete in pool at national level, but I don't think I want to spend on two suits, for training and competition. (Plus maintaining perfect buoyancy for two suits seems a hassle!) So I'm looking for a single suit for both weekly training (or more), and descent glide performance in competition. What the Orca TRN has been for me, but I'm hoping for even better glide. With the TRN I just manage to make 25 m in a push-off, and two strokes of either sort. What do you recommend? Does this recommendation from @mattbigblue in 2016 still hold true, or has anything changed? I get cold easily so I am a bit skeptical to the 1 mm only suits. I also wonder why so few pool athletes use Elios custom made 1.5 mm suits? With the hood, seems to me that should give better glide? I'm 186 cm tall, 75 kg about 100 cm chest. - Aquasphere Aquaskin winter skin old model (without stitches like in a photo-link). This one is hard to get since it was replaced with new model that have external stitches and i would not buy it. Orca Free, Orca Breathe and Epsealon Abbyss. Elios 1,5mm is terrible, especially with the hood which reduces Your dive response. I just got a bit confused. I'm 187 cm tall and 82-85 kg (depending on season) chest 105 cm, waist 94 cm.  I want regular (not tight fit) regarding Aqualung sport Freediving should I choose ML or L? I am 175cm, 64kg, 105cm chest, about 90 waist after christmass and have L size aqualung freedive. Happy with it. No water around my neck thanks velcro. Only a little bit loose around calf. And small rips under/behind armpit from the first pool sessions. There are perpendicular to seam and 3 to 20 mm long. After half year I have them over 20. Maybe it cause pool edges and resting position. Once a month I glue them but they cannot be completely repaired by me. Too much stress in this part? I dont know. I like these suit overall.